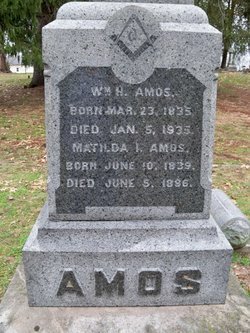 William Amos was my 3x great grandfather. I believe he fought in the Civil War, but I don’t have any concrete records of that yet. I think this is a picture of him, as someone wrote “Willie Amos” on it. The only puzzling thing for me is that the bottom right hand corner says the photo was taken in Illinois, and I have no record of him ever living there. 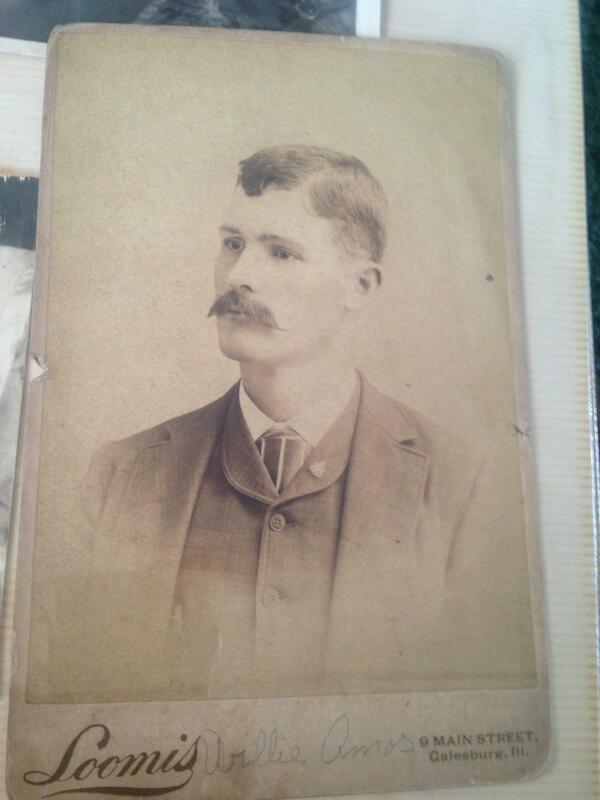 This entry was posted in Tombstone Tuesday and tagged Family History, genealogy, History, William Amos. Bookmark the permalink. That is a very impressive monument!